Eeeeeekkkk! Today, my family and I will be headed on another adventure. 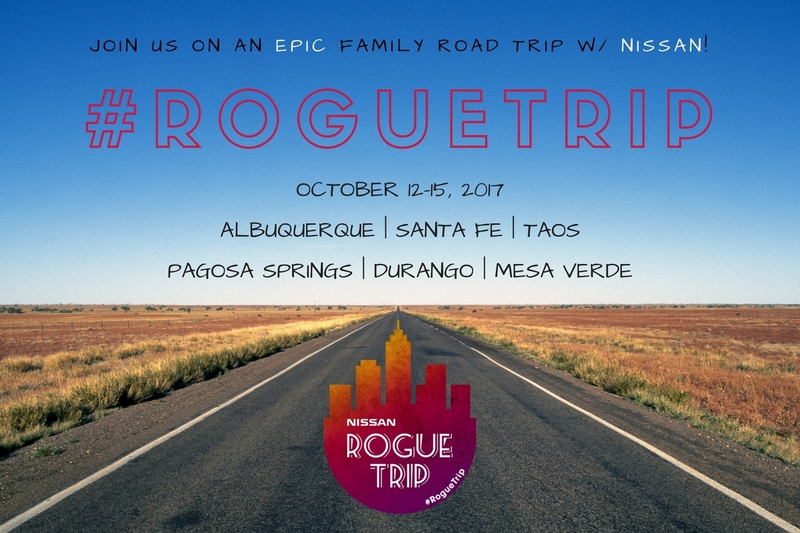 We’ll be taking an epic family road trip in a Nissan Rogue (aka #RogueTrip) from Albuquerque, New Mexico to Mesa Verde, Colorado. Yes, we plan to tackle over 400 miles in three days AND will try to have fun on the way. You see, we were originally going to take a longer trip but, due to Munchkin’s crazy strict school schedule, she could only take one day off max. So, we are determined to make the most of it and hit the ground running! We fly into Albuquerque this evening and have to get up SUPER early the next morning. Here’s a brief outline of what our trip schedule looks like. As you can see, we have a full itinerary. We will be sharing our trip from start to finish on Twitter, Instagram, Instagram Stories, Facebook, and Facebook Live videos so I’d love it if you followed along. Oh, and please feel free to share your thoughts on the trip and suggestions for us on the way. There are so many other things to do and see in New Mexico and Colorado so this trip is only a teaser. It will give us a good taste of the area so we can return to explore more another time. So follow us at @cookiesandclogs using the hashtag #RogueTrip! See you in the Land of Enchantment!